Four candidates — Paul Shaffer, Kenneth Whalum, Stephanie Gatewood, and Lynn Moss — covered the waterfront for a Rotary Club of Memphis audience. 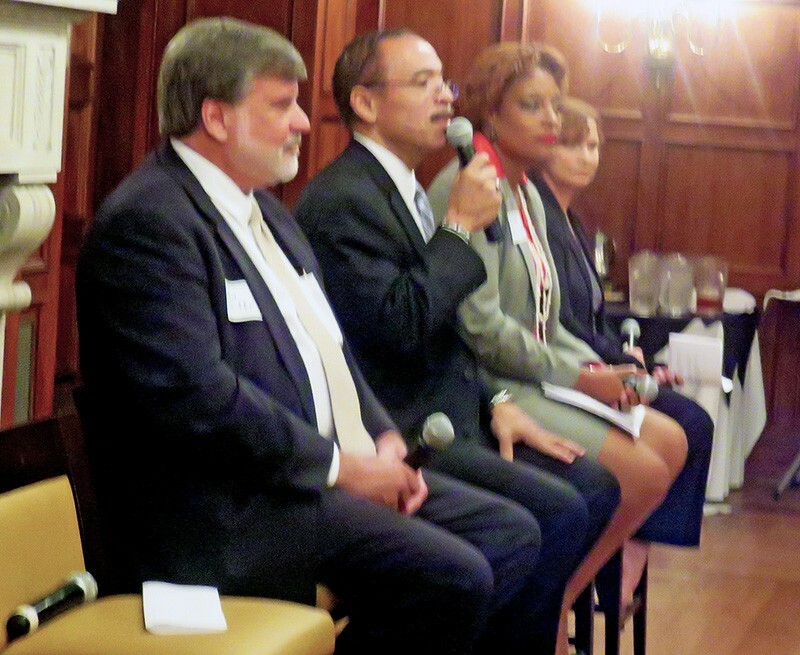 Candidates for the Super Districrt 9, Position 2 City Council seat — l to r, Paul Shaffer, Kenneth Whalum Jr., Stephanie Gatewood, and Lynn Moss — had a spirited discussion Tuesday at a forum sponsored by the Rotary Club of Memphis. In a City of Memphis election season that has seen a fair number of debates among candidates for the various races, there were two more on Tuesday. Let’s call them the Little Debate and the Big Debate — the “little” one a forum involving four of the five candidates for Position 2 in the City Council’s Super District 9; the “big” one a debate between three candidates for Mayor. In theory, one could reverse the order of adjectives. Four is, after all, a larger number than three, but, for obvious reasons a Council seat, even one representing half the city, doesn’t begin to measure up to the magnitude of a race for Mayor. That’s even if the council debate had a certain uniqueness and an absence of the same-old, same-old quality that some observers profess to detect in successive iterations of the mayoral matchup. (I think they’re wrong, as will be seen in a separate article on the latest mayoral debate. The Council Forum: The Super District 9 debate, held by the Rotary Club of Memphis, took place at noon Tuesday before a capacity crowd at the University Club. Taking part in it, in order of arrival, were Paul Shaffer, Kenneth Whalum Jr., Stephanie Gatewood, and Lynn Moss. Moss would come late because of workplace duties that she couldn’t shuck. But all hands were eventually on deck with the exception of Philip Spinosa. Spinosa, a FedEx sales executive, is, like Worth Morgan, candidate in District 5, a youthful protégé of a business elite group which has enough confidence in them to have loaded them both up with undreamed of sums (hundreds of thousands of dollars each) for a Council race. 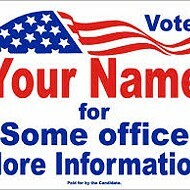 Both have TV commercials running and whole forests of yard signs planted on such east-west thoroughfares as Poplar Avenue and Walnut Grove. As a result, the Rotary audience, composed of a cross-section of the city’s civic and business leaders and as open-minded and positive a group as you would hope to encounter, missed a chance to see the flesh-and-blood candidate and hear his no doubt on-point responses to issues in open, real-time, uncanned discussion. Tant pis. The four candidates who did take part in the District 9, Position 2 forum held up their end — all speaking to the issues from the vantage points of their callings and experience — Shaffer, a longtime official of the IBEW union, from his hands-on knowledge of working-class concerns; former School Board members Whalum and Gatewood from the standpoint of their longtime activism and immersion in educational issues; and Moss from the point of view of a Cordova resident concerned with matters of city government’s good faith. All also were able to transcend parochial identities and suggest solutions beyond the express limits of their dominant personal focus. That’s important for several reasons,. PAUL SHAFFER made no bones about his belief that the current Council has produced too many “one-sided decisions” in favor of developers vis-à-vis ordinary citizens and promised, if elected, to restore a proper balance. He boosted the idea of early childhood development and pre-K learning, called for “quality of life” improvements in city infrastructure, a better public transportation system, long-term fiscal planning, and an apprenticeship program pursued in tandem with the public schools. KENNETH WHALUM JR. pledged to be a “never-a-dull-moment” Councilman, an independent voice, and a “gadfly,” unsupported by status quo interests. He repeated a previous promise to seek a public referendum for re-establishing a Memphis-specific school district, and to use the Council’s latent subpoena powers to uncover abuse and waste and defaults on company obligations in the city’s extension of PILOTs (payments-in-lieu-of taxes). He said he intended to “call everyone to accountability” on the crime issue, and to address the structural weaknesses in the city’s fiscal policy pinpointed by state Comptroller Justin Wilson. STEPHANIE GATEWOOD said she would eliminate duplicated services and bring the business community and its resources into partnership arrangements with the city, and recommended internship programs for students. She called for enhanced community policing and emphasis on neighborhood watch activities and for a smart-growth policy which included a faithful execution of state and federal strictures on sustainability. And she said her main mission would be to restore public trust in government. LYNN MOSS said she intended to represent the interests of Cordova and other newly annexed sections of Memphis whose pleas to city government had often fallen “on deaf ears.” She, too, expressed a determination to make certain the city’s PILOT system was executed fairly, pushed for sustainability programs and sprawl control. Pledging to seek a lower tax rate, she promised a bottoms-up approach to governmental issues, as opposed to a top-down one. Running For Election? Show Yourself.